Our Non-Invasive Prenatal Paternity Test is a cutting-edge test that makes it possible for you to confirm if the man you suspect to be the father of your baby is the biological father. Available from the 11th week of pregnancy, starting from the first day of your last menstrual period, you can get the answer you need with a risk-free DNA test. We now also offer an express testing service and baby gender report as optional extras. Please see below for more information. Accurate results mean that you can have that certainty and peace of mind you need. Our Non-Invasive Prenatal Paternity Test uses cutting edge technology to examine 2,688 SNPs or Single Nucleotide Polymorphisms. These SNPs are very specific variations in the sequences of DNA and through their analysis we are able to provide more than 99.9% accurate results if the alleged father is the biological father and 100% accurate if he is not. 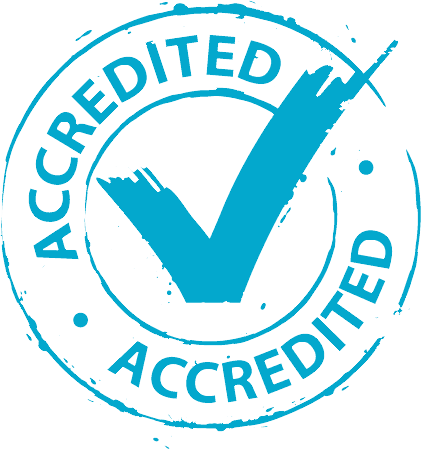 The laboratory processing your samples is one of the most highly accredited DNA testing laboratories worldwide, holding an extensive range of quality and calibration accreditations. Please visit our DNA Testing Laboratory Accreditation page for more information. For total assurance, you can call us to place your order and discuss any questions or concerns you might have. Our experts are ready to assist you and reassure you by professionally and thoroughly answering any questions you have. If you feel you have all the information you need, our Non-Invasive Prenatal Paternity Test can be ordered online. Once you have placed your order we will dispatch your kit by express mail or courier. The father’s samples can be collected at home without any medical assistance – the procedure is simply rubbing the mouth swabs inside the mouth and can be carried out by the alleged father himself. The mother’s samples must be collected via a medical blood draw which will need to be carried out by a doctor or a nurse. It is a standard blood draw from the arm and we can arrange for a nurse to visit you at home if you prefer not to use your own GP. There is an additional charge for this service which varies depending on location. Please Contact Us for more information and a quotation. Once you have all samples ready, they can be returned to our laboratory using the pre-paid courier service included with your kit. You have the option of choosing an invasive prenatal test like amniocentesis or chorionic villus sampling – but would you really consider placing any kind of risk, no matter how small, on your life or that of your baby? Our non-invasive test is 100% risk free, without any of the side effects associated with invasive procedures such as cramping, spotting or bruising. Results take just 7-10 working days from when the laboratory receives your samples. An express service is available, see below for more information. Some invasive tests such as amniocentesis need to be carried out much later in pregnancy. Our non-invasive test can be carried out from 11 weeks. A simple medical blood draw is all that is needed – no need for an obstetrician or gynaecologist (OB/GYN). Amniocentesis and CVS can be far more complicated. They require an ultra-sonographer, an OB/GYN and the insertion of a needle or catheter into the womb. The chance of bleeding, infection and miscarriage cannot be excluded with these procedures. Results are sent by email in total confidentiality. We only disclose results to those individuals who have signed the consent forms sent back to us with the samples for testing. Our non-invasive prenatal paternity test starts at £999 for testing mother and alleged father. This is an all-inclusive price with no hidden costs. It includes the kit, the analysis of your samples, return courier fee to the laboratory and the test results. If you prefer, we offer the option of paying a 50% deposit on ordering your test. You can then simply pay the remaining balance when we receive your samples at the laboratory. We now offer the opportunity to discover the gender of your unborn baby. For an additional fee of £100 we will include the baby’s gender in your results report. Just select the “baby gender report” option during checkout if you wish to include gender information. You will receive your test results 7-10 working days from when samples are received by our laboratory. We also offer an express testing service for an additional fee of £150. Our express service makes your results available in just 5 working days from receipt of samples. Currently we are unable to provide a non-invasive prenatal paternity test to mothers expecting twins or in cases where the alleged fathers a close blood relatives. Please read our Prenatal Paternity Test Terms and Conditions carefully and make sure you understand them before placing an order.